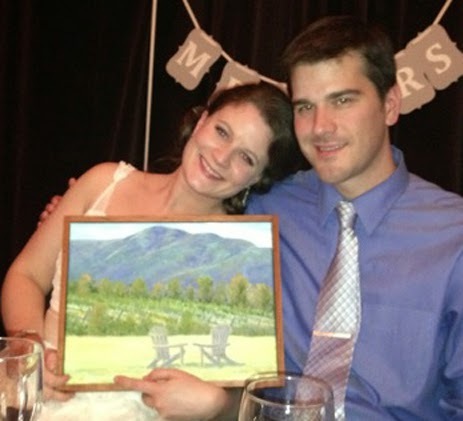 Another commission for a couple who live in the area but travel a ton for work, wanted these mountains in their home. Painted from on top of a hill in Greenwood overlooking Rockfish Valley. 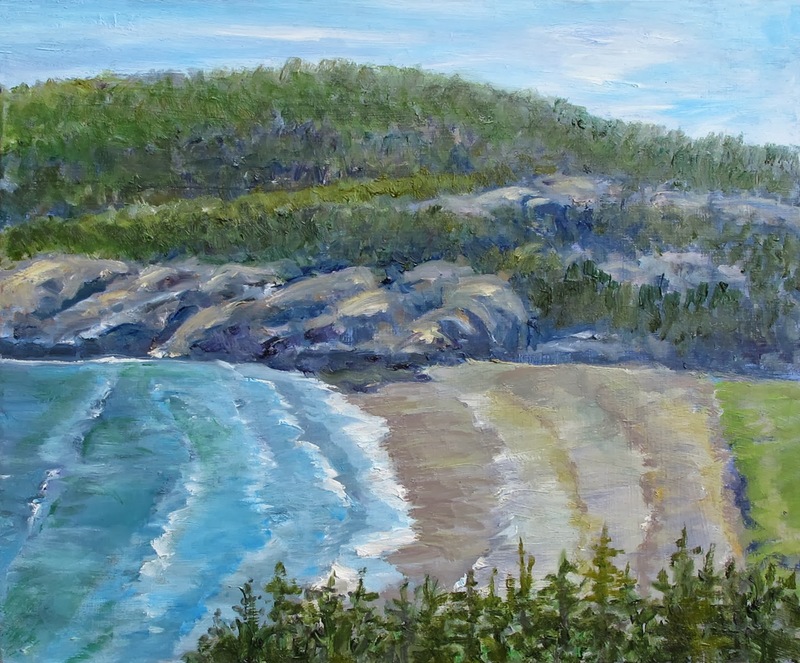 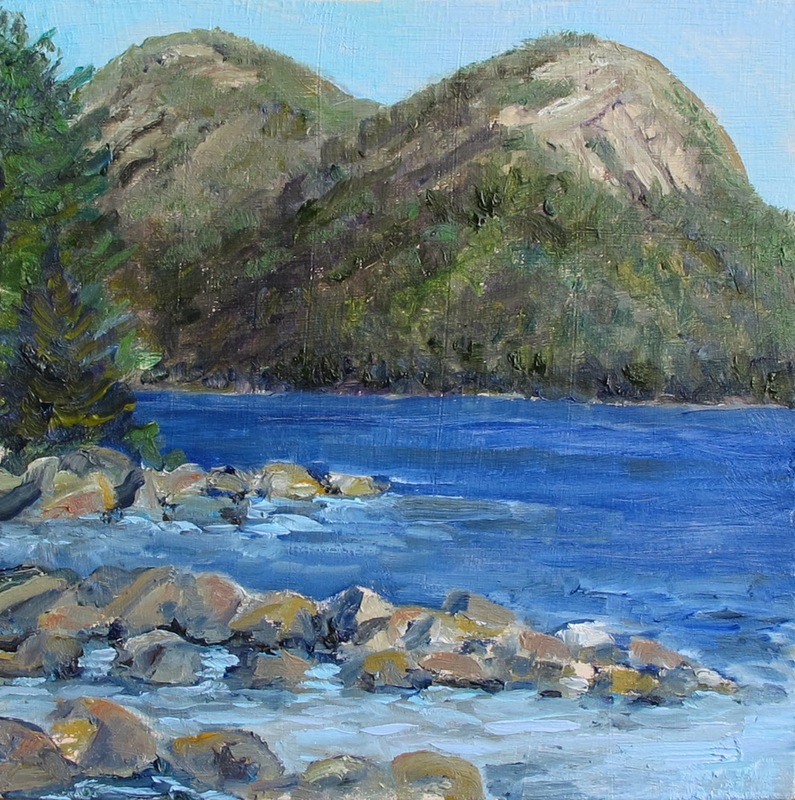 24" x 48" oil on canvas, framed SOLD, Thanks Diane and Dave! Painted this for a friend who just bought this property and is surprising her husband with this commission for Christmas! 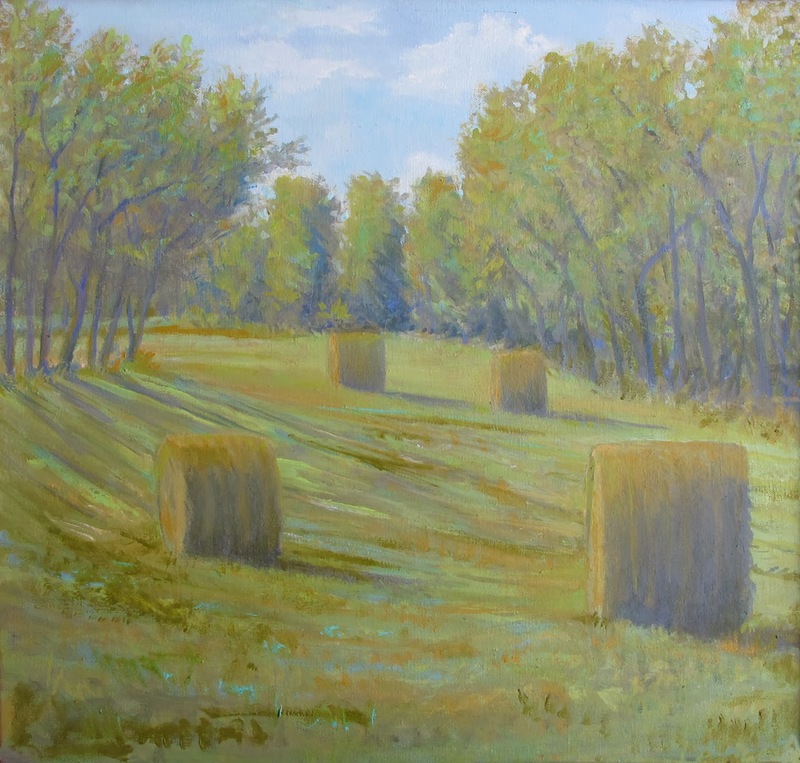 22" x 58" oil on canvas, framed SOLD! 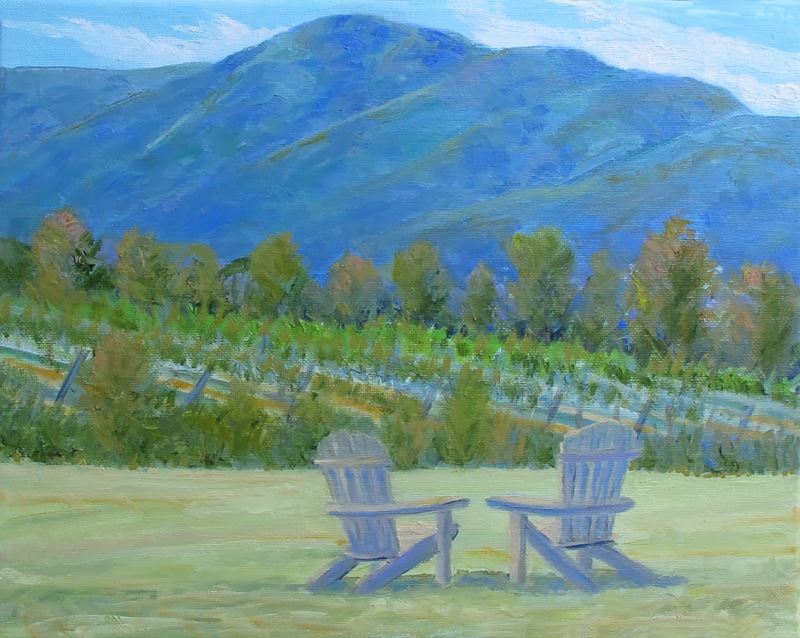 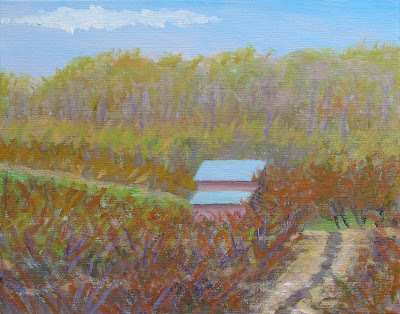 Small painting from King Family Vineyards painted this fall before the leaves all fell. 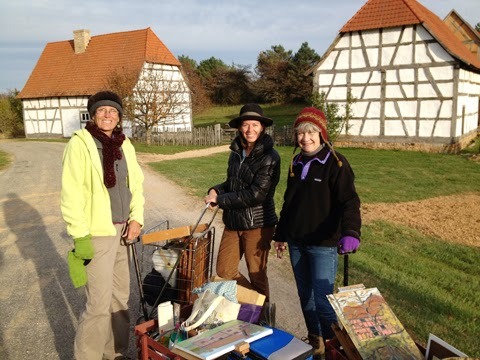 There were four of us out there on a cold windy day! 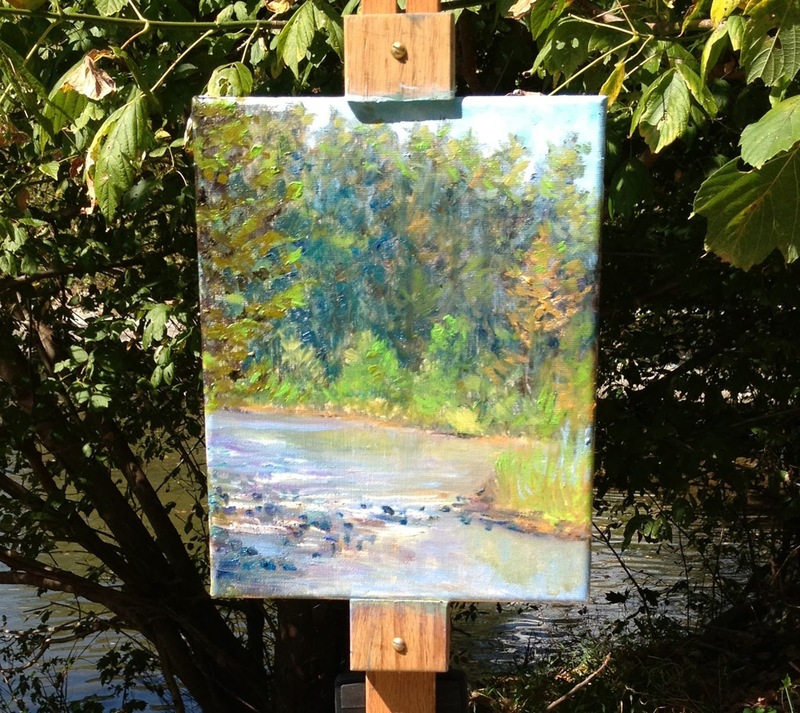 11" x 14" oil on canvas, framed $145. 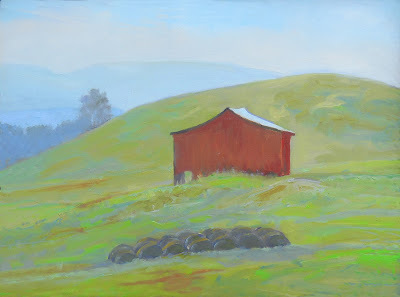 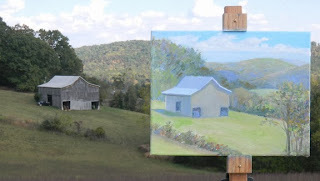 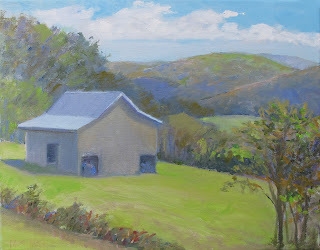 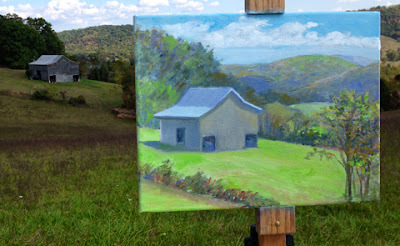 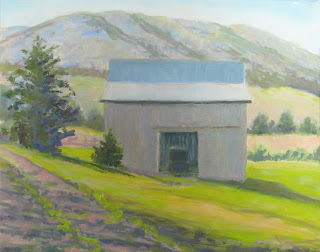 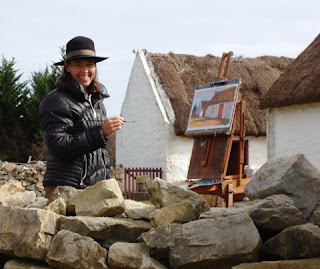 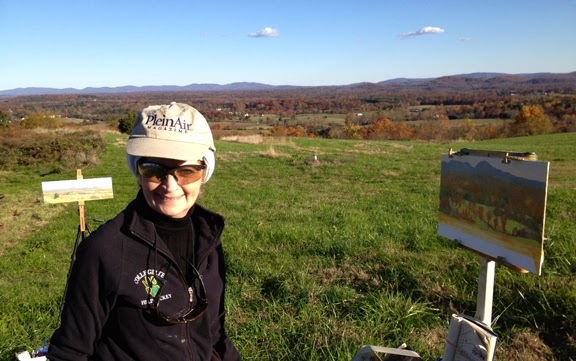 Here is the first Shag Hill painting I did at the October Lexington Paint Out, I was with Elizabeth Sauder, we both painted two views of the same barn. 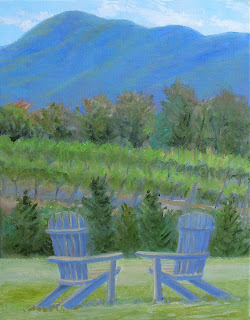 11" x 14" oil on canvas, framed $245. 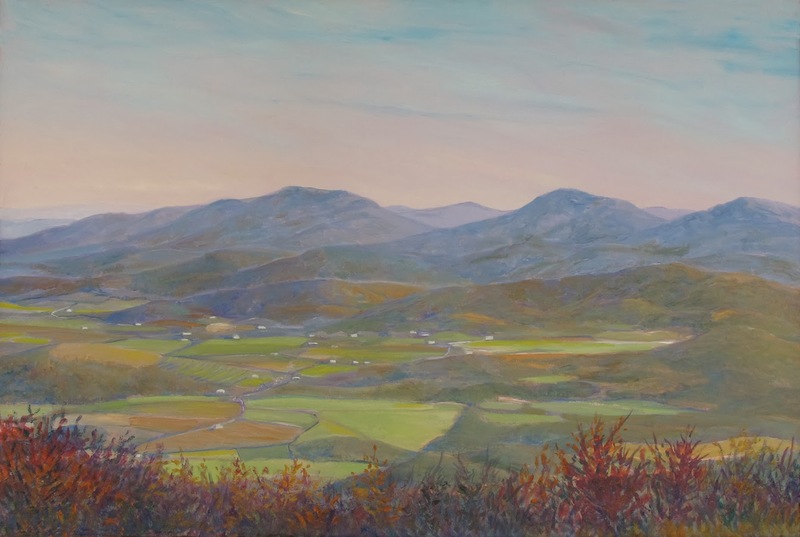 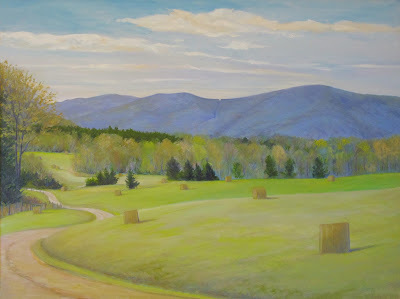 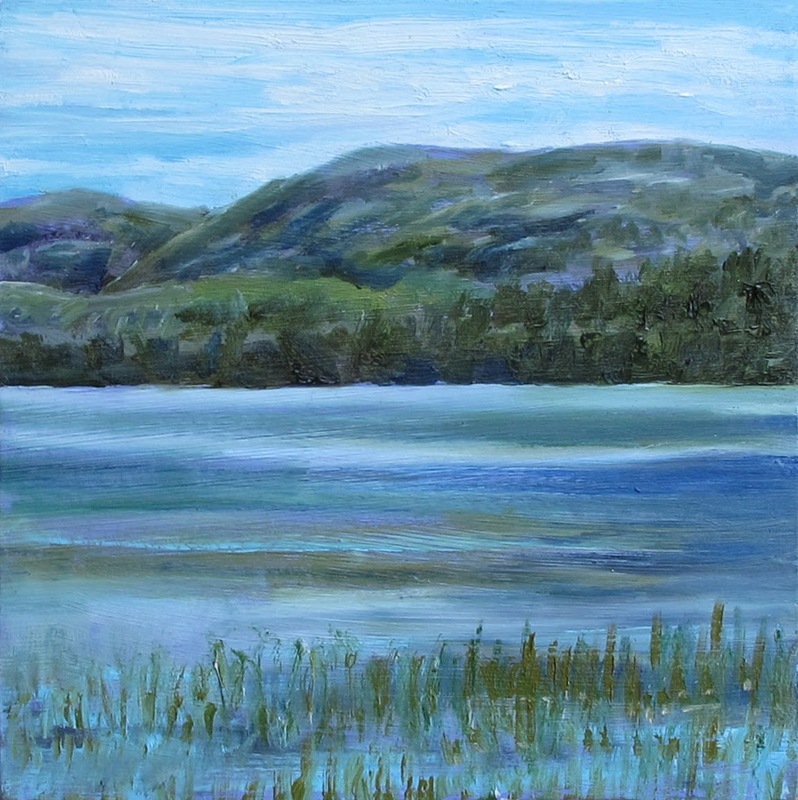 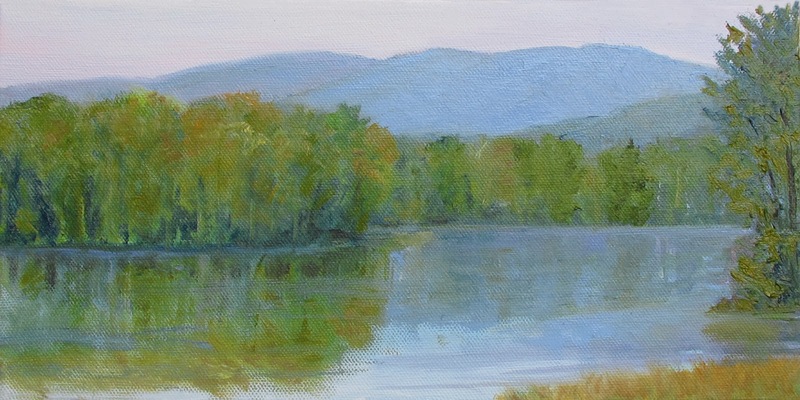 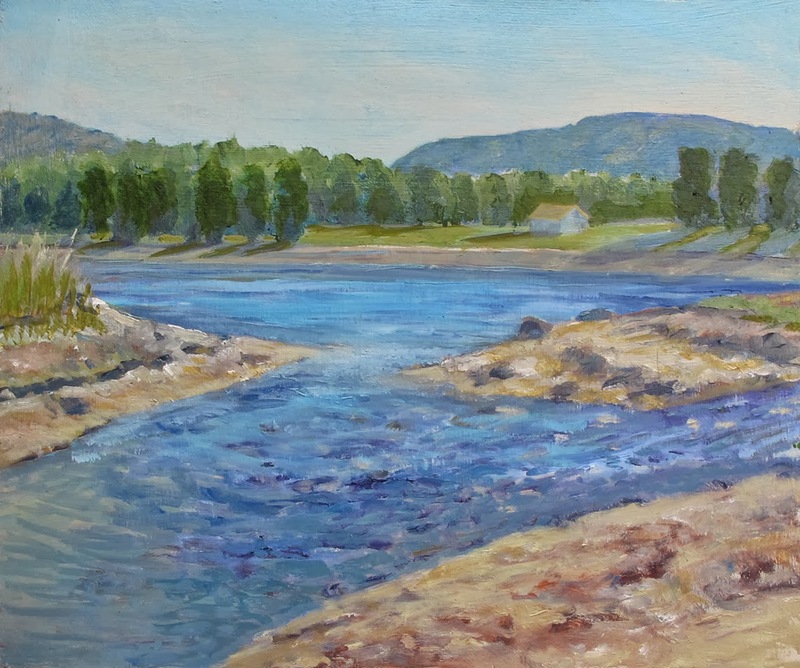 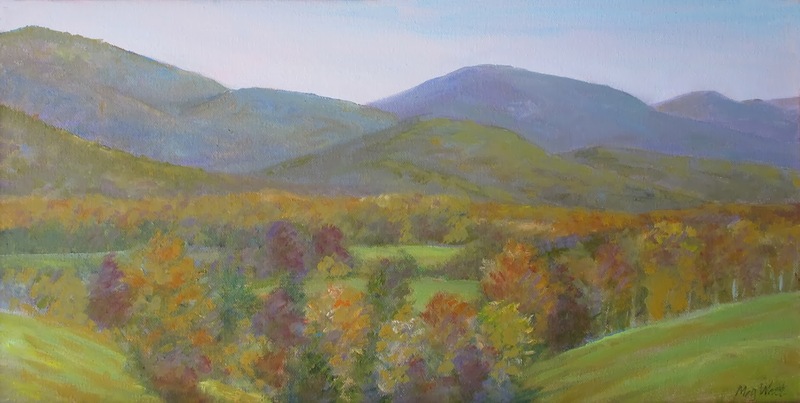 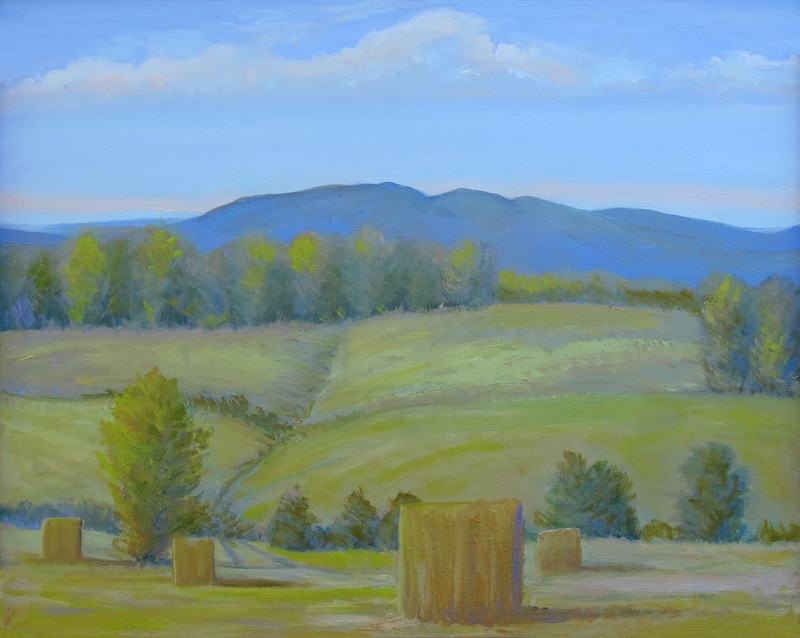 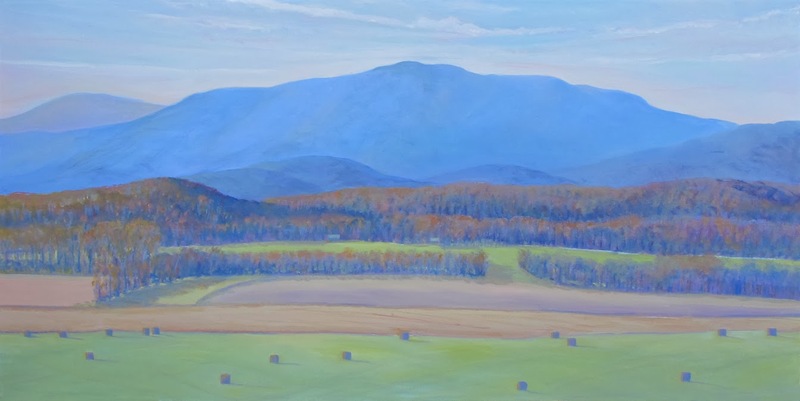 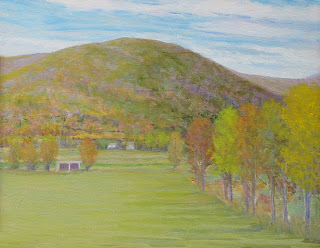 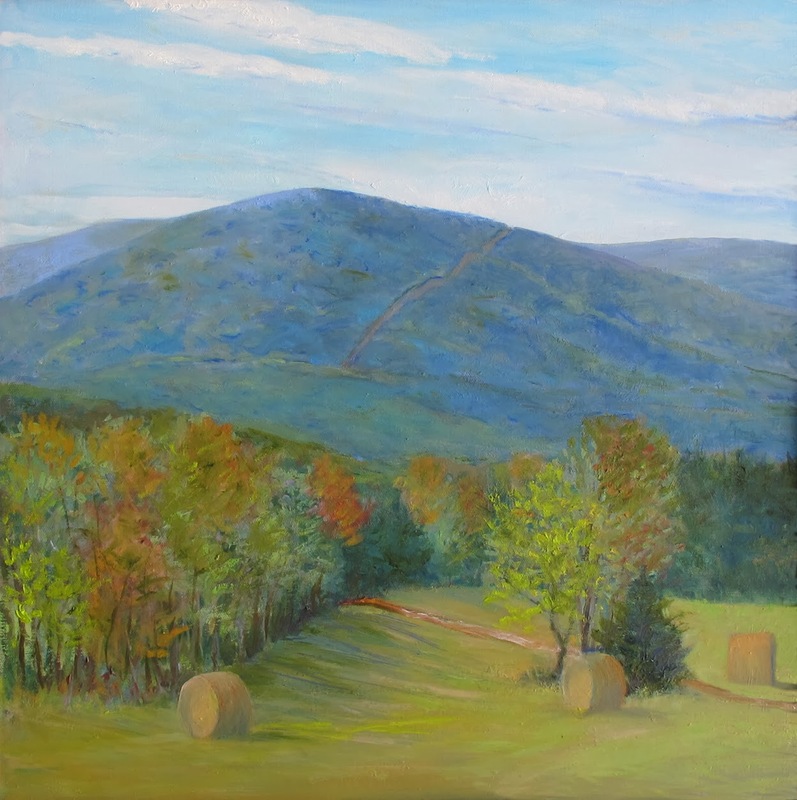 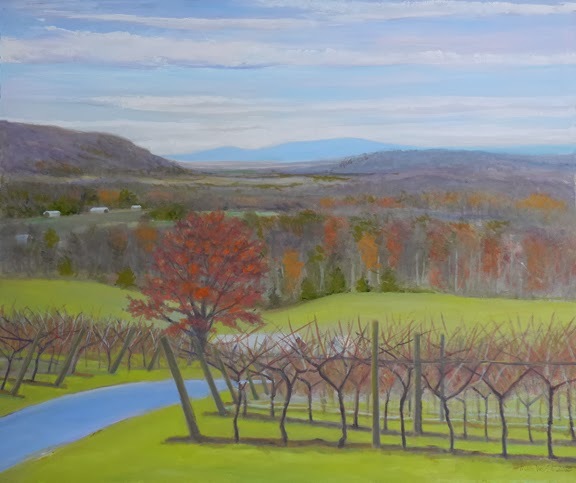 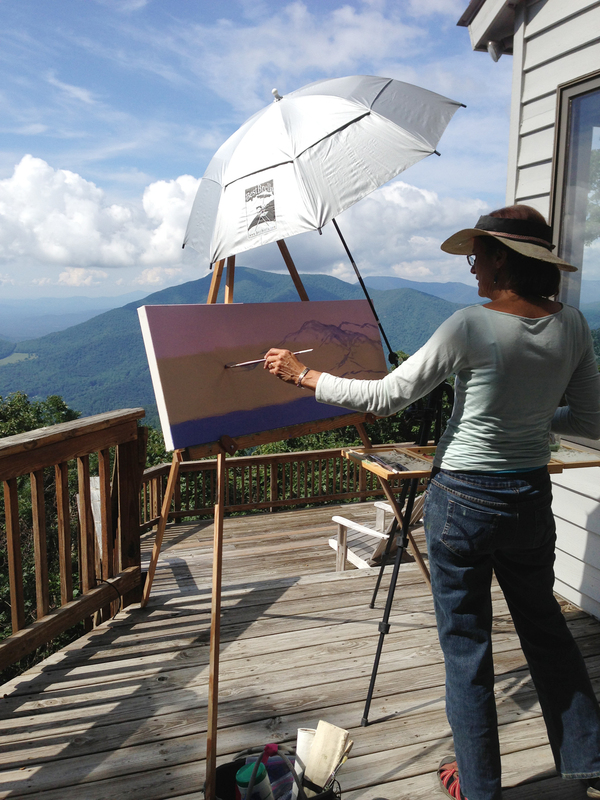 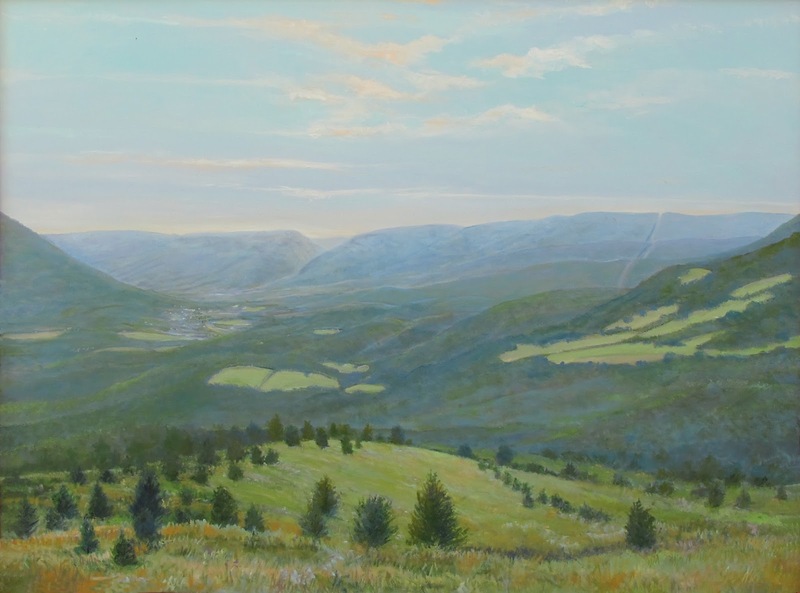 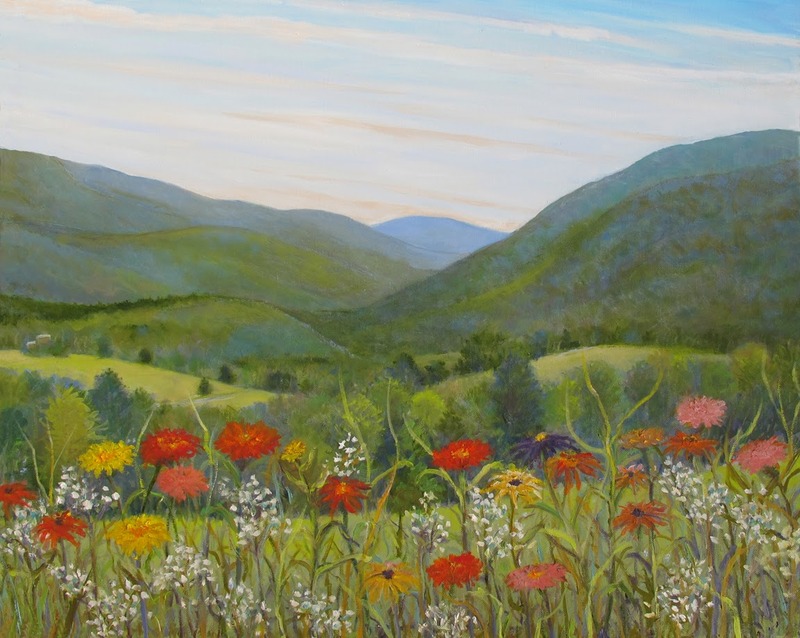 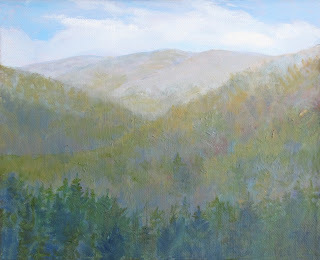 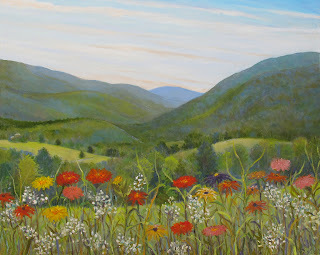 I reworked this painting a bit and am much happier, painted it in White Hall in thew summer, looking north off Rt 810. 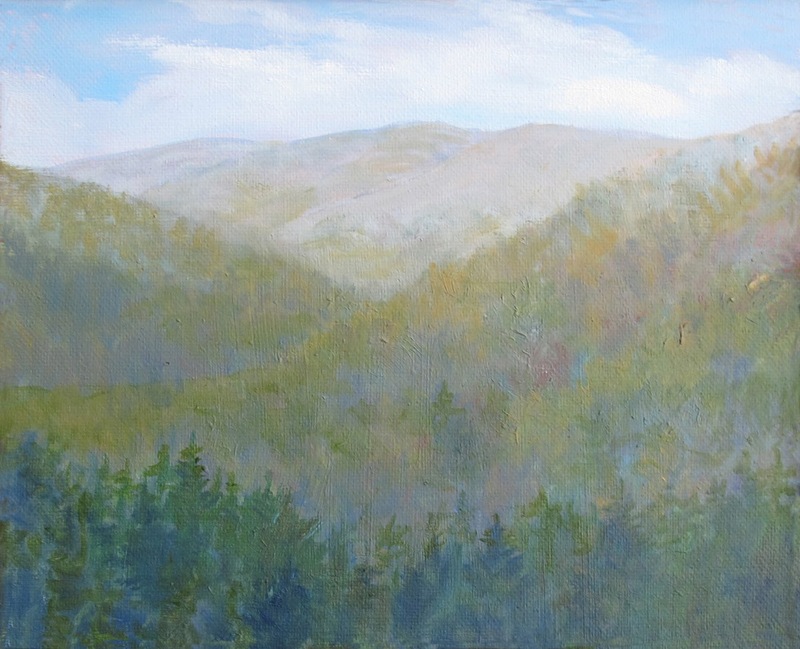 16" x 20" oil on canvas, framed, $350. 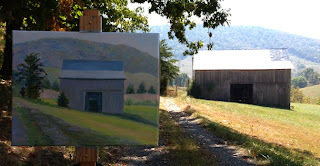 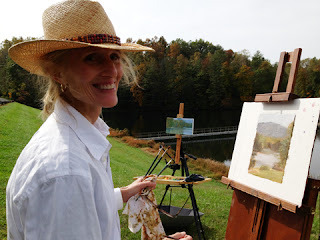 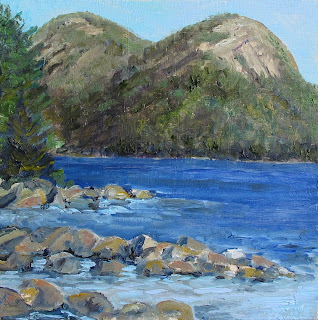 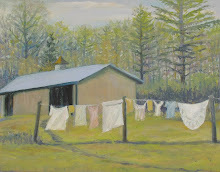 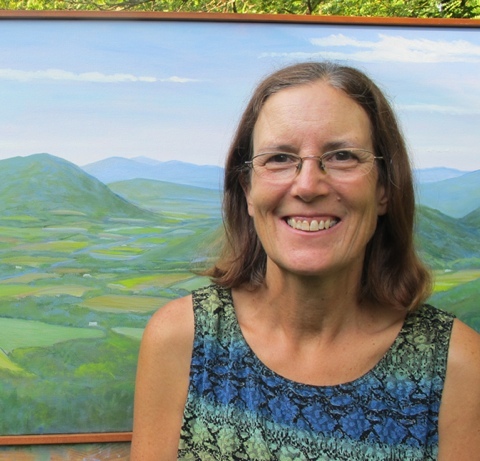 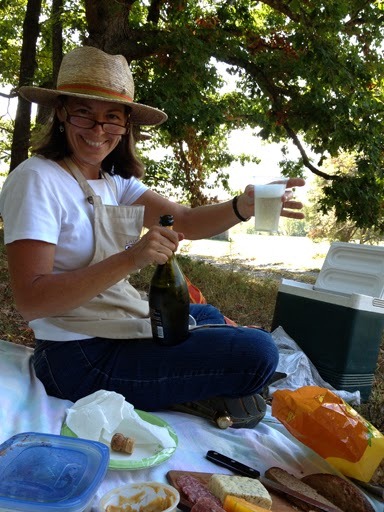 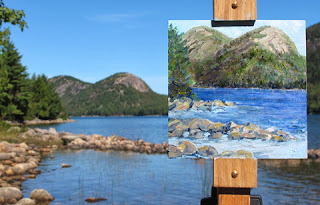 Painted at the Frontier Museum in Staunton this past Monday with Jean Tremmel and Elizabeth Sauder with picnic and all! 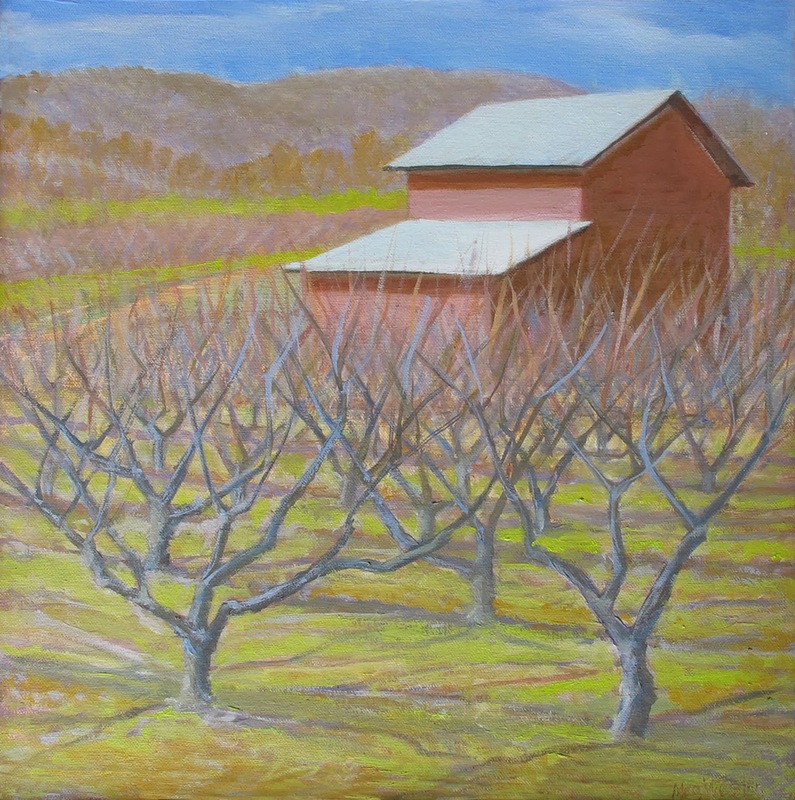 It was warm when the sun was out but clouded up all afternoon. 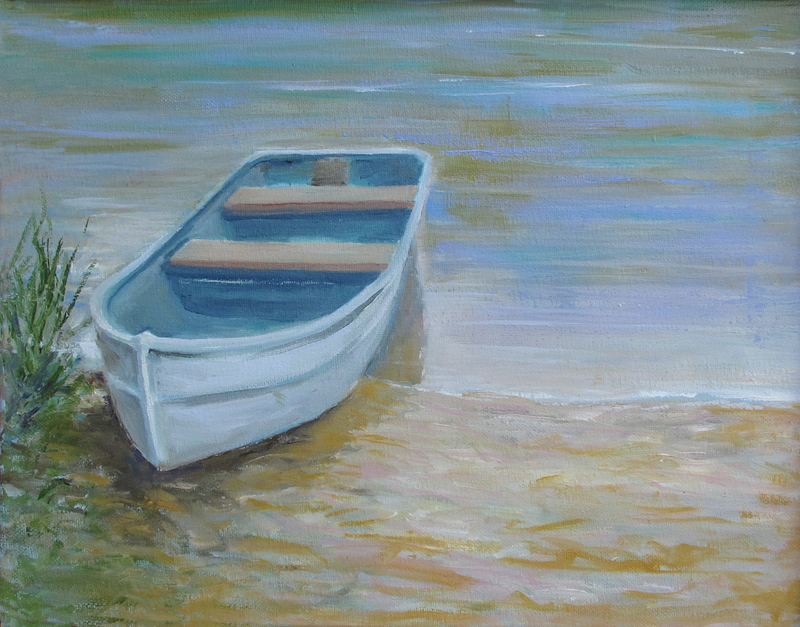 I painted another one I will post later . . . we are ready to go back again. 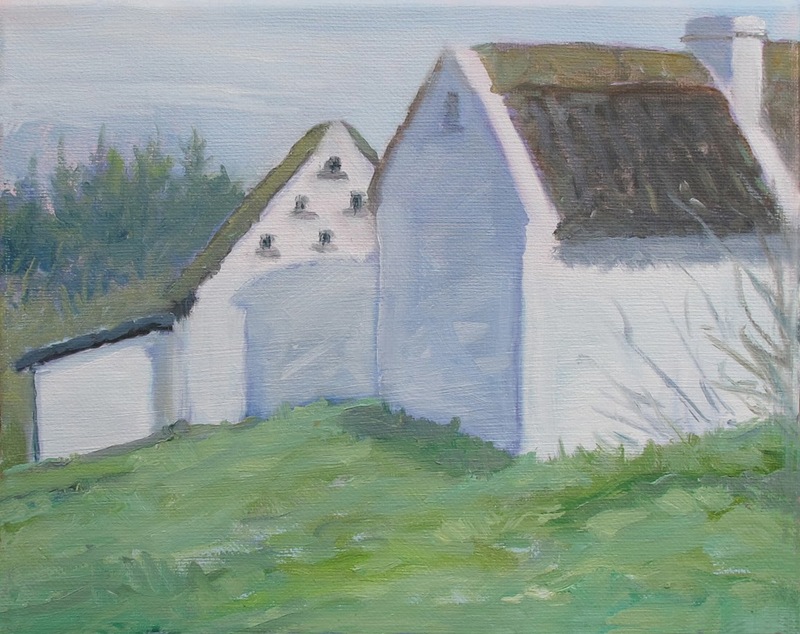 This painting is from the Irish Farm buildings, 8" x 10" oil on canvas framed $145. 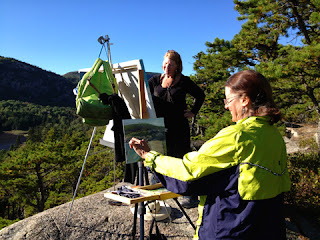 Painted way up on the rocks above Sand Beach with a new friend Diana Cobb Ansley, whom I meet on Monhegan Island a few days before hand. It was fun to be up high looking down! 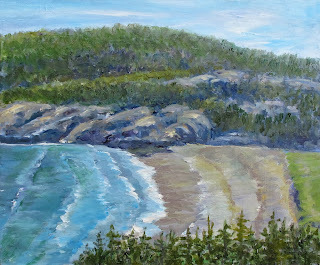 Long Beach is the only real beach in all of Acadia. 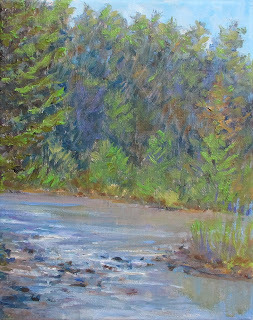 10" x 12" oil on board, framed $150. 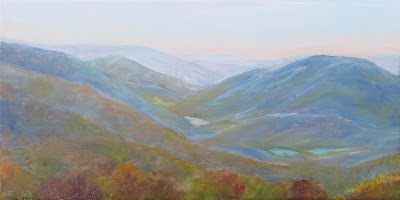 Painted this while at UVA's Mountain Lake Biological Station in July, just framed it and added it to my show at C-ville Arts, with an opening this Friday night from 6 to 8:00 pm . 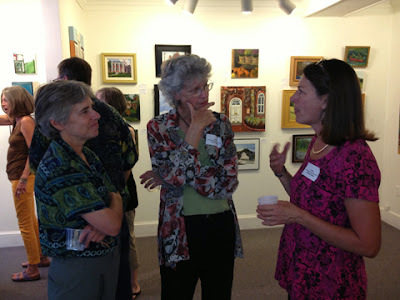 . . please come out if you can and stop by! 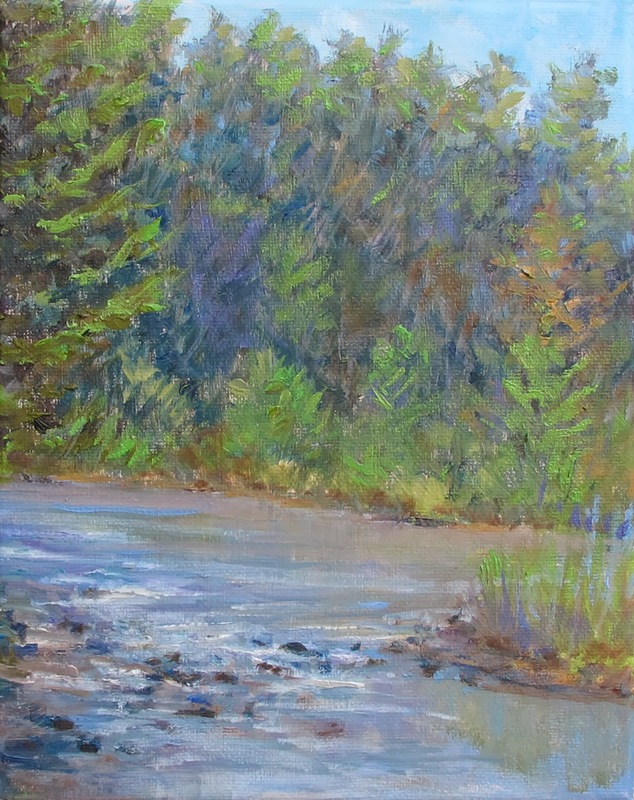 11" x 14" oil on canvas, framed, $225.